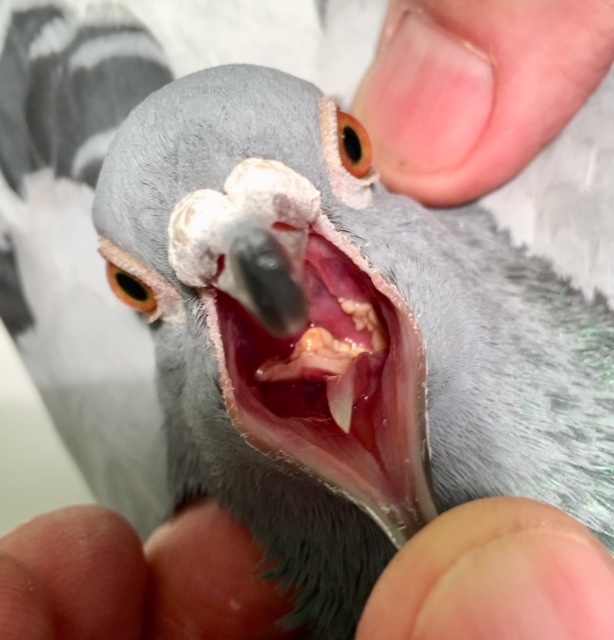 In many pigeons, both old and young, which are not regularly treated against canker (trichomoniasis) pathogens (trichomonads) can be latently present. This can present major problems as early as in the nest, with youngsters having yellow lumps stuck in the back of the throat. In adult pigeons, in combination with the ornithosis-complex, it may lead to serious complications. Even if the pigeons have a ‘natural’ immunity against trichomoniasis, in autumn it can come to sudden large outbreaks of this disease, in some cases, even death as result.